This church has been serving the community since 1755 when services began at the Bossert farmhouse overlooking the farmlands to worship in the protective confines of the stone structure (there were still hostile Indians in the area). As the congregation grew, a log structure was erected behind the site of the present-day cemetery. This 20 foot by 30 foot housed services until further land was acquired in the 1790’s and funds were raised for a new church. 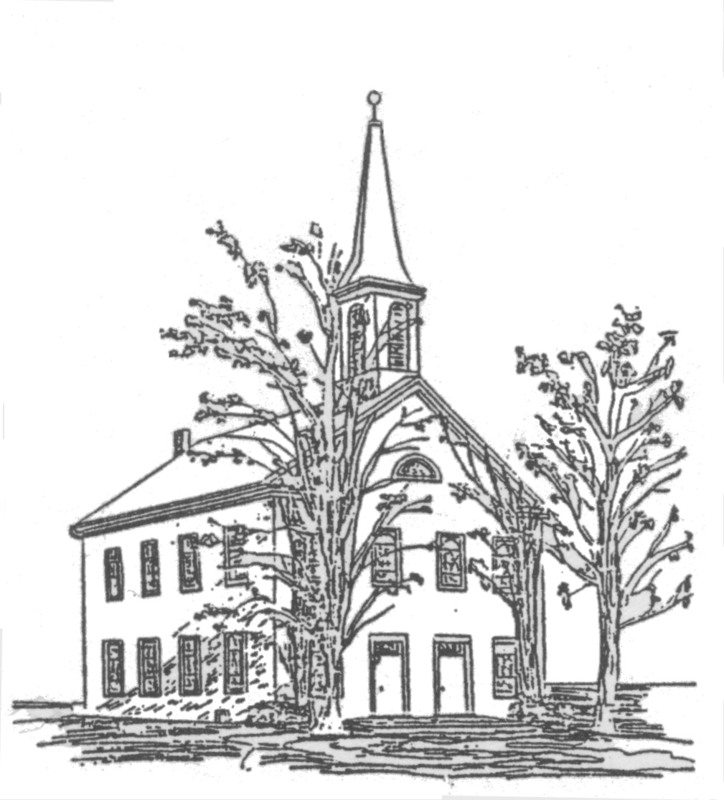 In 1829 the cornerstone was laid; in early November of 1830 the building was dedicated. To this point the congregation(s) had lived through the Revolutionary war, the election of President George Washington (and others) and the War of 1812. It also experienced the first census of the newly-formed United States. In 1836 Monroe County was formed; previously the area had been part of Northampton County. As time went on , two chandeliers were installed in the majestic stone church. Rudimentary music devices were replaced by a foot organ. Heating was also rudimentary in nature! The Civil War divided America but the church remained constant. Lutherans and Reformends worshipped at the site. German language services ended in the 1870’s. The 100th anniversary of the stone church was observed in 1929. At that time the beautiful stained-glass windows were installed. A used organ was purchased from a church in Stroudsburg. In 1974 the Lutheran and Reformed congregations joined to form Christ Hamilton United Lutheran Church. (For many years it was Christ Church, or “The Mother Church” of Lutheran churches in Monroe County). The 200th anniversary of the congregation was observed in 1980 and in 2005 the 250th anniversary of worship was celebrated with special services and events. Praise the Lord!